The Exponential Growth Economy’s White Elephant! 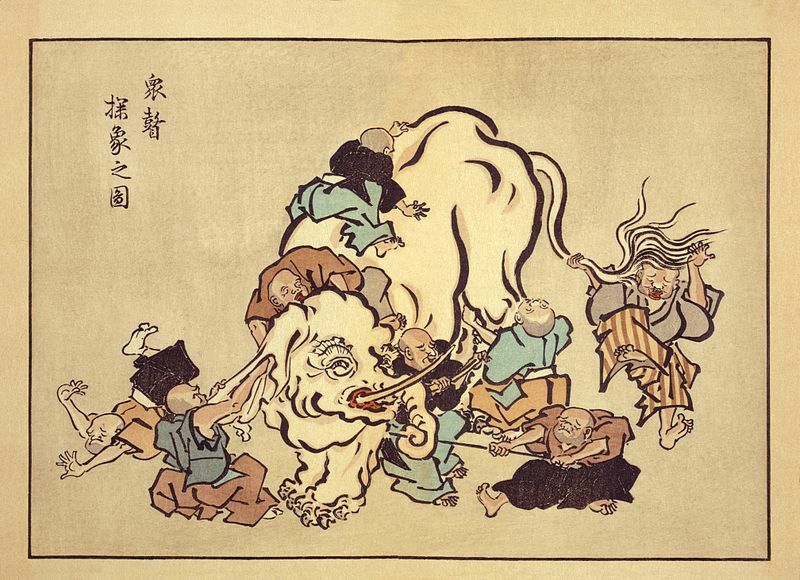 “Blind monks examining an elephant” by Itcho Hanabusa (1652–1724). Each blind monk can only “see” the part of the elephant he has examined. Blind Expert #1. It’s the oil addiction! Blind Expert #2. Nay, nay; it’s the coal-fired power plants. Blind Expert #3. Nay, nay; the SUVs. Blind Expert #4. Nay, nay! It must be the sprawling suburbia. Blind Expert #6. We NEED more trees to protect the economy. Blind experts Nos. 1 – 8 urged the next U.S. president to “protect the country” not by way of changing the predatory exponential growth economy, but instead by means of “funding for research and forecasting” to dodge the climate change. How to Ensure National Security AND Create a Healthy Economy! The 13 things you should know about the world before you depart prematurely! If the world were falling apart! Why Does “IF” Hate America, its Middle Class and the Poor So Much? Warren “If” Buffet listens to a question during a news conference in Madrid May 21, 2008. REUTERS/Andrea Comas. Image may be subject to copyright. See MSRB fair Use Notice!